Tonight’s episode of Marvel's Agents of S.H.I.E.L.D., “The Inside Man,” was primarily interested in furthering the story of how humanity is reacting to the growing number of Inhumans manifesting across the globe, but it also subtlety introduced another member of the growing Secret Warriors roster, Eden Fesi, a.k.a. Manifold. Don’t feel bad if you missed Eden’s intro. He never appeared on screen, and his name wasn’t ever even spoken. As if a mere Easter egg, Eden Fesi’s name appears on a document found in the room of Australian delegate Helen King during the big Inhumans symposium in Taiwan. The document details an Inhuman that King had in custody for experimentation. During the conclusion of the episode, May lets Coulson know that S.H.I.E.L.D. agents in Australia were able to rescue Eden, now sedated and recovering. So who is Manifold? As is hinted at in “The Inside Man,” he’s from Australia. More specifically, he is an indigenous Australian, and he has the power of spatial teleportation. That means he can tear open space and time to create a portal connecting one location to another. As a member of the Secret Warriors, he proved vital to many of their missions as the team’s primary mode of extraction. 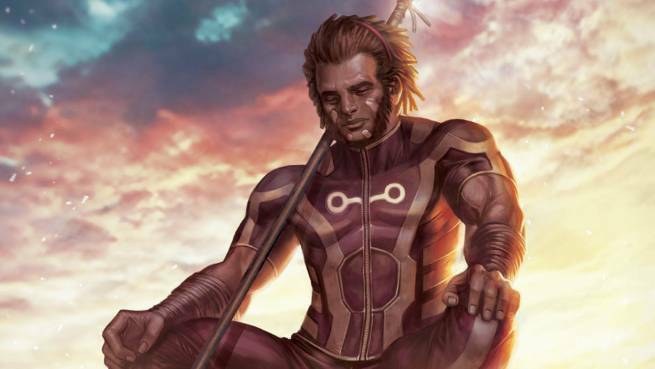 Interestingly enough, while Eden is introduced as an Inhuman on Marvel's Agents of S.H.I.E.L.D., Manifold’s powers in the comics come from mutation, and he learned to control his power by training with the mutant called Gateway, an old ally of the X-Men. As most mutants fall under the film and television rights acquired by 20th Century Fox, one might assume that Eden was under Fox’s control. The fact that Manifold has never been on an X-Men team, but actually graduated from the Caterpillars up to the Avengers, may mean his rights still lie with Marvel, or are at least shared the same way fellow (formerly) mutant Avengers Quicksilver and Scarlet Witch are. So now that we know that Eden exists in the Marvel Cinematic Universe, the questions remaining are when and if he’ll appear on screen, and who will play him when and if he does?